Price $49,900.00 Click price to calculate payment. 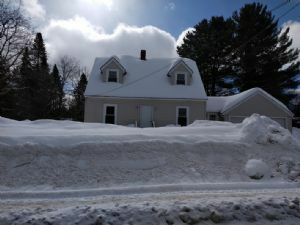 This in town Cape style home features a kitchen, dining room, living room with fireplace, 2 bedrooms and a bath with an entry room and attached 2 car garage. This is a Fannie Mae Homepath property.